Many of the startup concepts from the groups that I mentored were derivative ideas of things that already exist elsewhere, whether they relate to e-commerce, social enterprise, or education. But that’s ok. It’s all about the execution anyway, and how the startups can learn to leverage their specific local knowledge and expertise to make their ventures work here in Mexico. There is a small but scrappy startup scene down here. The Mexican government is also putting money into supporting innovation. Read the rest of my travel reflections and recommendations on Medium. Yesterday I led a workshop on Transformative Storytelling at the Smart Impact startup accelerator in Mexico City. As the final exercise of the workshop, I had participants write 6 word stories inspired by their businesses or their life’s work. The strict constraint of only six words forces a kind of creative discipline and prioritization. Every word counts, and every word must make an emotional impact. The exercise is based on the 6 word story, “For sale. Baby shoes. Never worn,” a story associated with (and falsely attributed to Hemingway). Whoever the original author was, the story is an example of how it is possible to evoke incredible depths of emotion and humanity in a few short words. 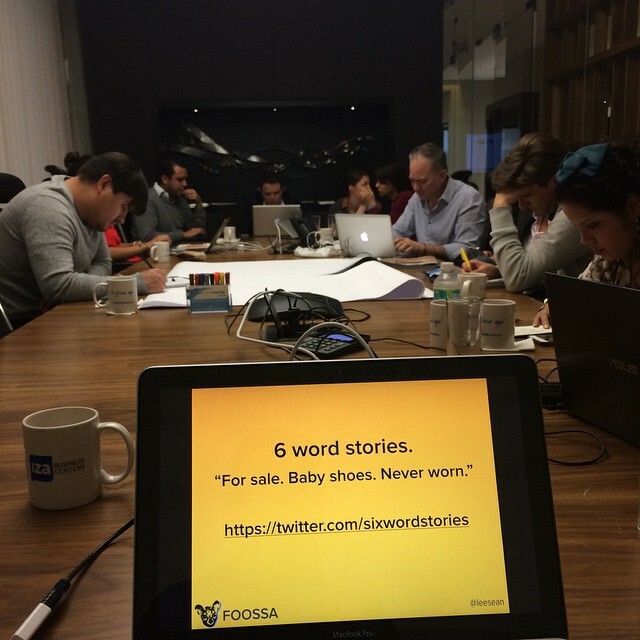 What is your 6 word story?